Je t'adorn: what Candi sent me! Here's what Candi sent me! I love it. 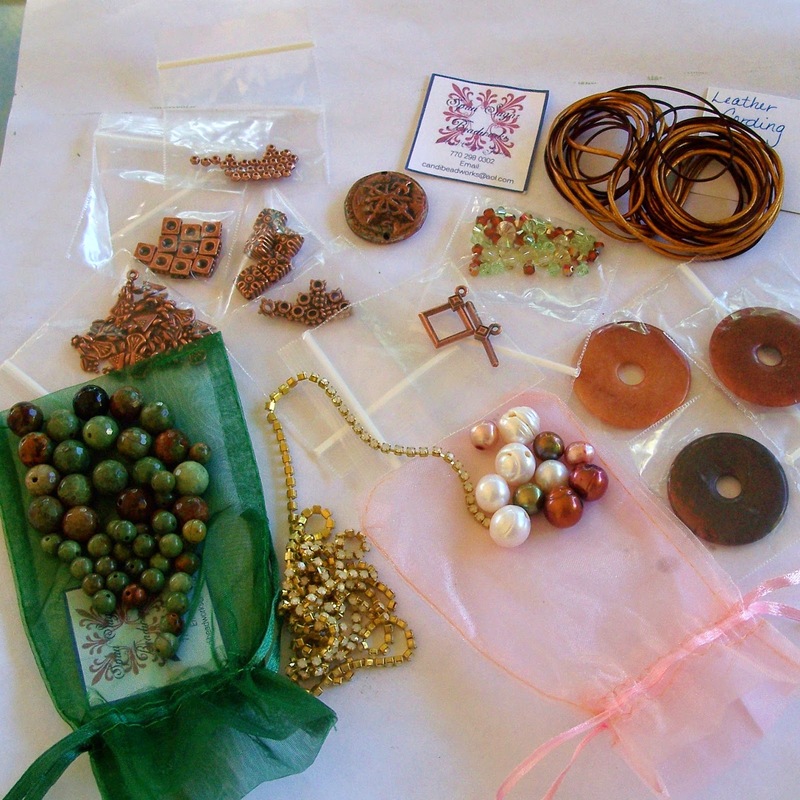 How did she know I love copper and earthy colors? The focal is handmade by an artist local to her, Glen Levent. She picked out everything else at her local bead store. Each type of component was in a little gauze bag and she included a label in each bag as to what the component is (see the little squares near the leather, front and back). I've got a lot of ideas that I'm sketching out and plan to get started this week.